TVF was asked by Baroness Newlove, to deliver a strategic volunteering programme across the Department of Communities and Local Government (DCLG). The first stage in the programme, supporting the Department’s existing ‘Social Action Week’ by providing volunteering opportunities, took place from Monday 7th to Friday 12th November 2011, and created over 100 volunteering opportunities across London for Civil Servants, Corporate Partners and TVF. DCLG’s Social Action Week benefited from 84 volunteers, providing vital resources and skills to five small local organisations, all of whom provide services to some of the most vulnerable people in our communities. The programme received positive feedback from the DCLG Civil Servants and the five partner organisations who took part. “I am delighted that TVF, whom I entrusted to deliver ‘more volunteering opportunities to civil servants ‘ has made such a fantastic start with 8.33 per cent of DCLG ‘s civil servants based at Eland House either being placed in projects or committing to undertake specific volunteering activities in the coming months. It’s a wonderful start and I know our future partnership will be equally successful “. Baroness Newlove, The Government’s champion for Active Safer Communities. 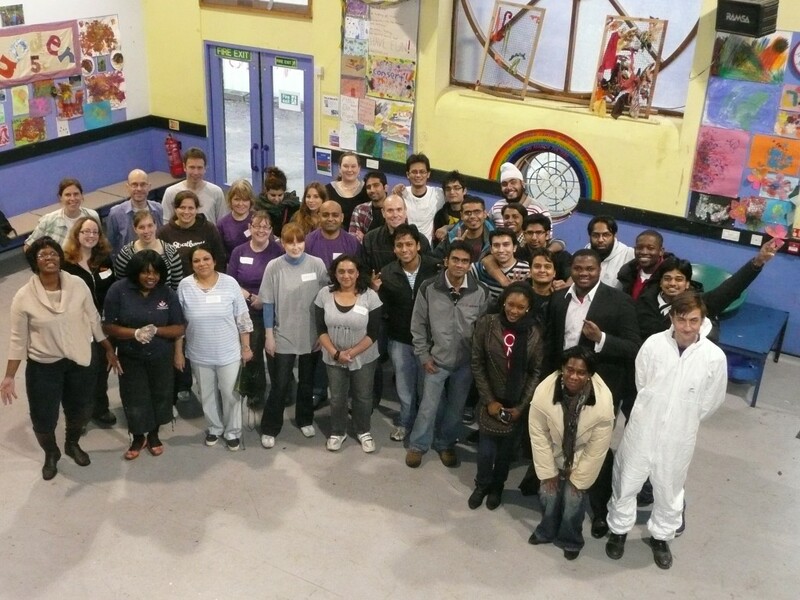 During DCLG’s Social Action Week, TVF partnered with five small local charities to implement high impact joint projects across London.